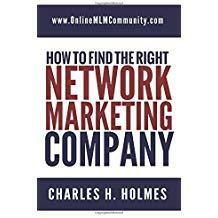 The MLM Numbers Game: Is Network Marketing All About the Numbers? Today, I want to take a few minutes and talk about the MLM Numbers Game. Is working the numbers really the key to success in network marketing? Or, is it more about teaching and supporting your team members? Or, is it more of a game of skill and strategy? The answers to those questions will vary depending upon who you ask (and their agenda). In the rest of this post, I want to share my own thoughts on this subject. Keep in mind it’s just my opinion and we can agree to disagree if necessary. I’ll also share some insights from some people I respect in this industry. If you look at the “Earnings Disclosure” from ANY company in our industry, you will quickly discover that this business is a numbers game. In most companies, less than half the distributors are even ACTIVE in the business (ordering the products) and less than 1% are in any type of leadership role. To me, that alone proves this business is a numbers game. From my own experience, I’ve found that you will have to talk to thousands of prospects to sponsor hundreds of distributors to find a few key leaders. Yes, skill and strategy are vitally important. The more skills you have, and the better your strategy, the fewer people you can talk to and get the same results. But, even if you have great skills and a great strategy you will still have to talk with LOTS of people to find new distributors, and no matter what you do, most of your new team members will still do nothing and quit. I’ve also learned that for every FIFTY people I have on my team, I normally have one leader, and out of every five leaders on my team, I normally have ONE really good leader. Jordan Adler is one of my favorite mentors in the industry. He is the author of Beach Money, one of my favorite network marketing books of all time. He frequently states that most top earners in our industry have been with one company for five or more years, have personally sponsored at least 100 to 500 people, yet make MOST of their income from just 2 to five of these people. Mark Yarnell was my favorite mentor in this industry. He is now deceased. Although I never met him personally, nor was I ever part of any of his organizations, his teaching and training have molded me into the leader I am today. In all of his training, Mark stated that this business is a numbers game. You can’t make anyone else successful or drag anyone across the finish line. No matter what you do to help people, most people will do very little with the business. Most people will do nothing and quit. He also talked about the importance of “going wide fast.” In other words, sponsor several hundred people on your frontline as quickly as possible, and from that, you will find a few key leaders who generate MOST of your income. He always claimed that duplication was a lie. I agree. Mark’s strategy was to talk to 30 prospects per day, 5 days a week. Assuming you sponsored 1 in 20 people you talked to, you would sponsor 30 people per month. Assume that 29 of those 30 people will quit. Repeat this process for 12 months and you would sponsor 360 people. 348 of those people would quit and 12 would be solid leaders. Assume once again that half of your 12 key leaders quit and you would still have 6 amazing leaders. He went on to say that you could make six figures a month in ANY company in our industry is you have six mega-huge front-line leaders. After sixteen years in the industry, I agree with Mark Yarnell. Eric Worre is one of my business heroes. He does more good for our industry than anyone else I can think of. In addition to previously being a seven-figure earner, he’s also owned a network marketing company. In addition, he is the author of “Go Pro” and the founder of Network Marketing Pro, a popular training website for network marketers. Some trainers and leaders in our industry teach the power of three. They basically teach people that their job is to find three people and then help them find three people and then help those new people find three people. Keep repeating this process over and over in depth and you will build a HUGE organization. While this sounds great in concept, and does sell a lot of books, this business NEVER works out that way. To find three serious people, you’ll need to sponsor AT LEAST 30 to 50 people, and probably much more than that. From those 50 people, 40 will do nothing and quit, 10 will do something, and 1 to 2 of those 10 people will be serious. I like to tell people this upfront, because if you just assume that you can sponsor three people, sit back, and your team will just duplicate, you will be disappointed. It never works this way. After reading this article, you might be wondering, “what’s the secret, Chuck?” I think there are FOUR things you can do help you be more effective and more successful in this business. First and foremost, you HAVE to talk with new prospects every single day. As a very part-timer you should talk to at least five prospects per day, six days per week. As a serious rep, you should talk to 10 prospects per day, six days per week. As a full-timer, you should talk with 30 to 50 prospects per day, six days per week. Anything less than this, and you won’t make it in the business. This is ultimately a leadership business. Reps and customers come and go like the common cold. Your real job is to become a leader first, and then find and develop leaders. I personally believe it makes more sense to FIND leaders than develop them. It takes a lot of time and energy to develop leaders, and much less time to go out and find them. You need a system and training for your team to follow. Even if you do things differently yourself, you need some type of game plan and support system for your new people. This could include a weekly call or weekly meeting, a getting started guide and Facebook group for your team. You really need to take the time and master and develop your skills. This includes leadership, communication, prospecting, and lead generation. Just like any other profession in the world, network marketing has some basic fundamental skills you need to learn. Read every day, talk with your mentor, attend events and listen to tapes and CDs. Make it a goal to get a little bit better every single day. Mastering these four things is vital for your long-term success in the industry. There you have it folks. These are my thoughts on the MLM Numbers Game. Do you agree or disagree with my thoughts? Please leave a comment below to tell me what you think. I look forward to hearing from you. Numbers are important. There is no doubt. But this element of finding the target market is so vital! And it is glossed over far too much. I understand that many MLM companies are trying to teach basics, walk before you run, but why not train right from the beginning? Teach the downline to focus and they will yield better results from the beginning. If you focus on your target market you can work through fewer amounts of people. Jessica, isn’t it incredible to think how much more positive and profitable your day could be with a target list? I’ve sold products for several different companies and was always taught that everyone is a prospect. If I’d created a target list before those endeavors, my small business projects would have been a lot more positive and profitable! I agree with you that the numbers game is a lot easier this way! I believe it is important to have a target market first before playing the MLM numbers game. I think the right sponsors are important to gain the right prospects in order to make the MLM business venture successful for the right target audience. This advice is excellent for novice MLM business owners who want to be successful in this industry. I agonized over my ‘List of 1,000’, and cringed every time I picked up the phone to contact someone. I love the idea of a selective, or targeted list. With the targeted list, it definitely makes sense that you wouldn’t experience nearly as many no’s before getting a yes, which makes the MLM Number Game a lot more fun.